24-hour maintenance support to Commercial and Retail Facilities Managers. From our Leeds Hub we provide round-the-clock support to Building Managers, Agents and Landlords to ensure we keep Yorkshire’s commercial facilities running smoothly all year round. Utilising the latest workflow management software our 24-hour help desk team support Commercial and Retail property teams to provide a full range of construction and facilities management services from emergency reactive repairs through to planned maintenance, refurbishments and adaptations. 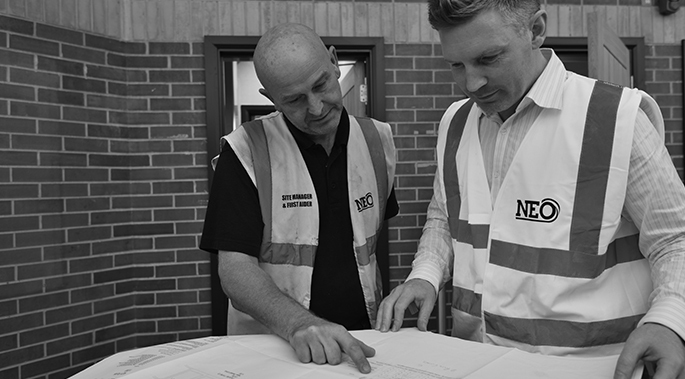 We understand the demands of commercial working environments and have invested heavily in both the training of our people and the technology to support complex facilities across Yorkshire. This means that we provide the same consistent and quality service across the region whether it’s a planned maintenance call or emergency repair. Our workflow management system is designed to integrate with a range of CAFM systems and enables us to guarantee efficiencies in works scheduling, parts and stock ordering and building user familiarisation. This enables our teams to turn up ready to do the job at hand to enable business as usual for our commercial and retail clients. Our field based Quality Control system ensures our teams to get it right first time, reducing rework and driving further efficiencies for maintenance teams. - Please read more about our works management solutions here.